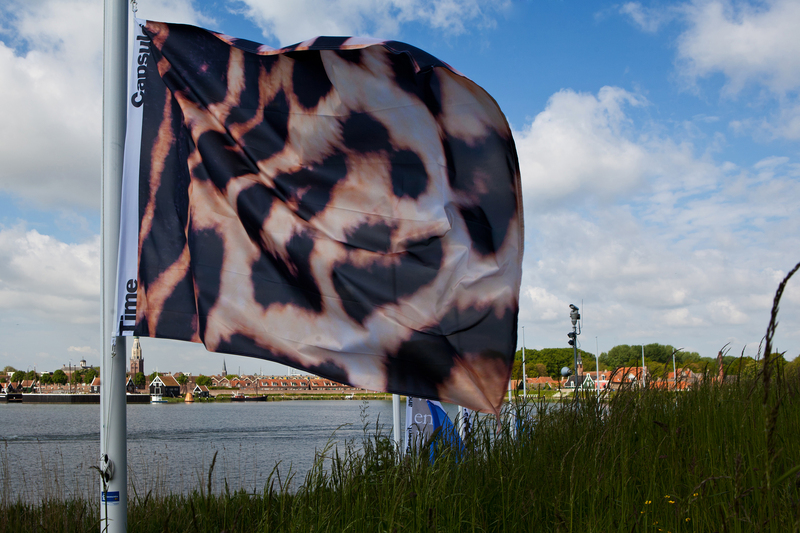 The Zuiderzee Museum in Enkhuizen invited ArtEZ Institute of the Arts Arnhem to use the Zuiderzee heritage as a starting point for a series of new designs to result into an exhibition running from May until October 2015. 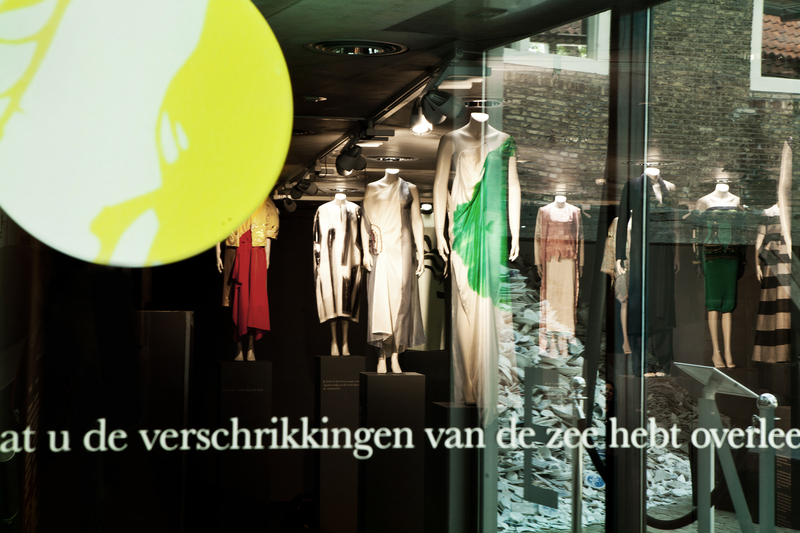 Point of departure was the Zuiderzee ballad of 1958. 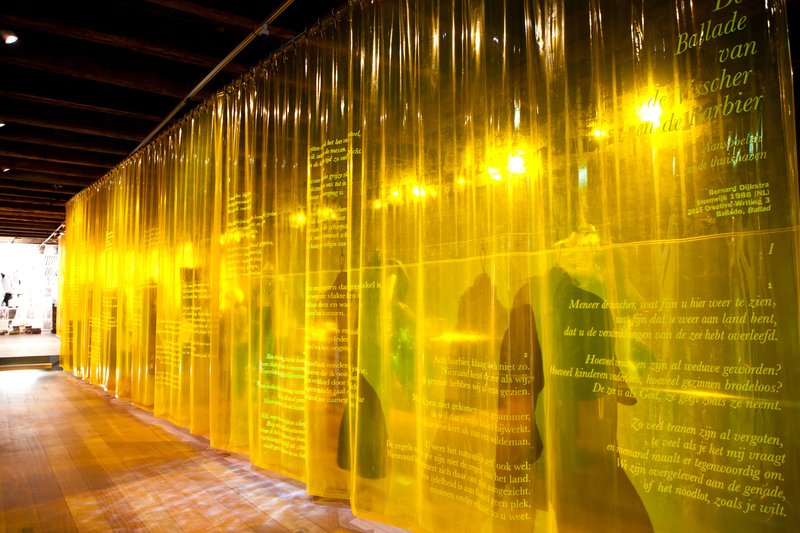 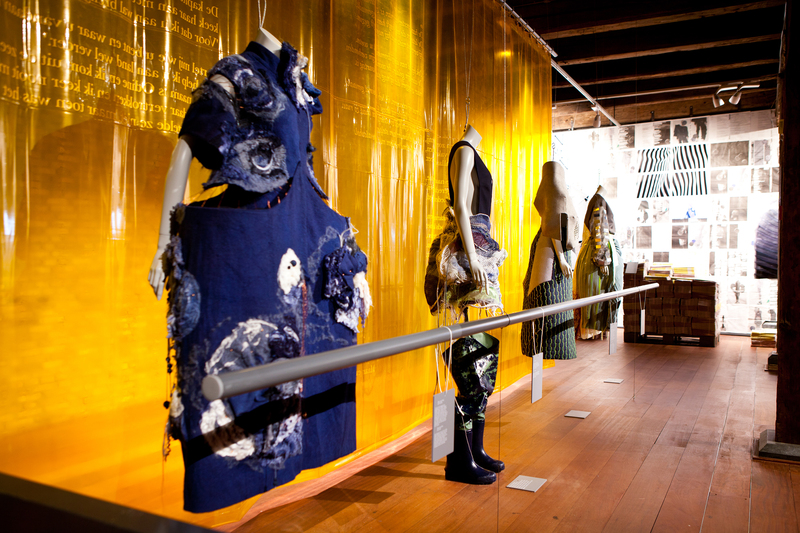 Students of the Fashion Design and Creative Writing departments travelled to Enkhuizen to draw inspiration from the culture of the former Zuiderzee. 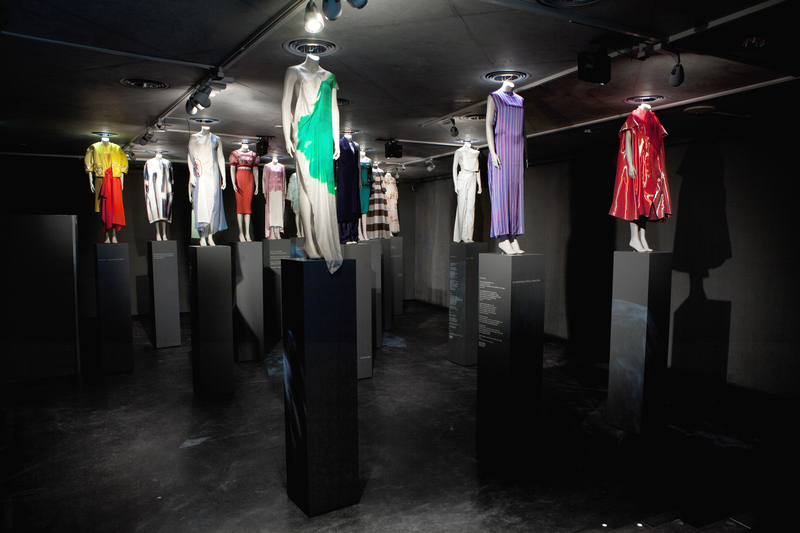 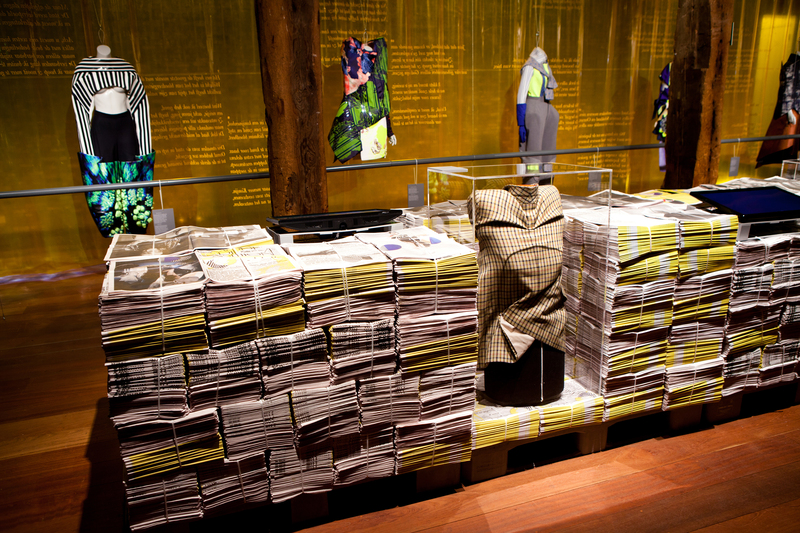 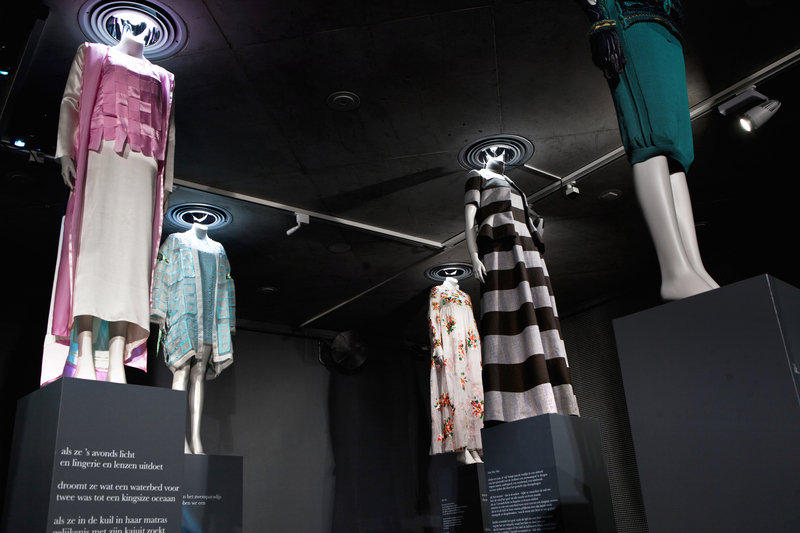 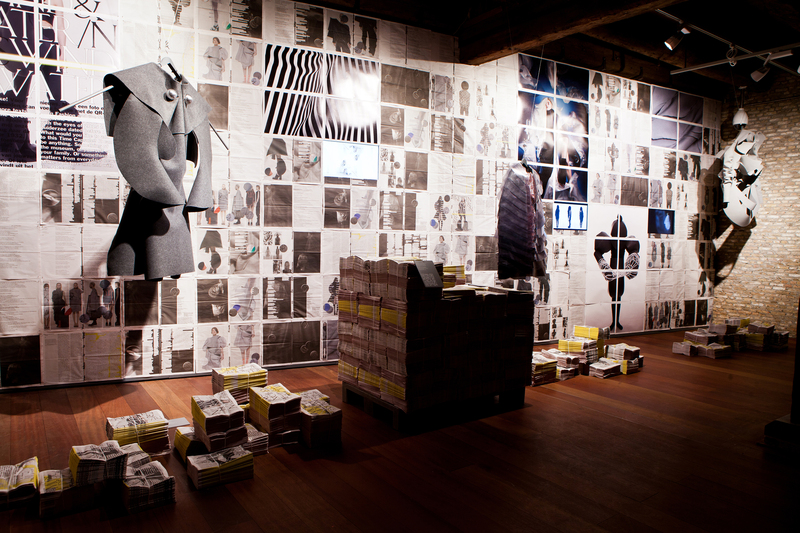 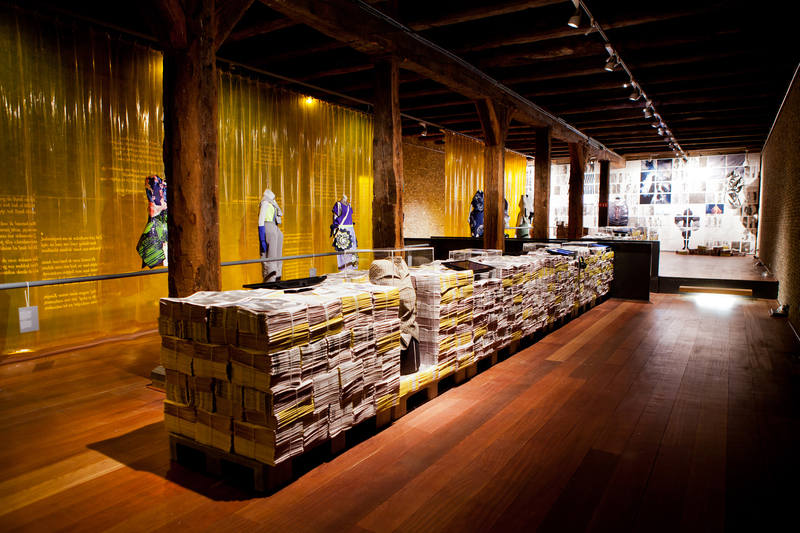 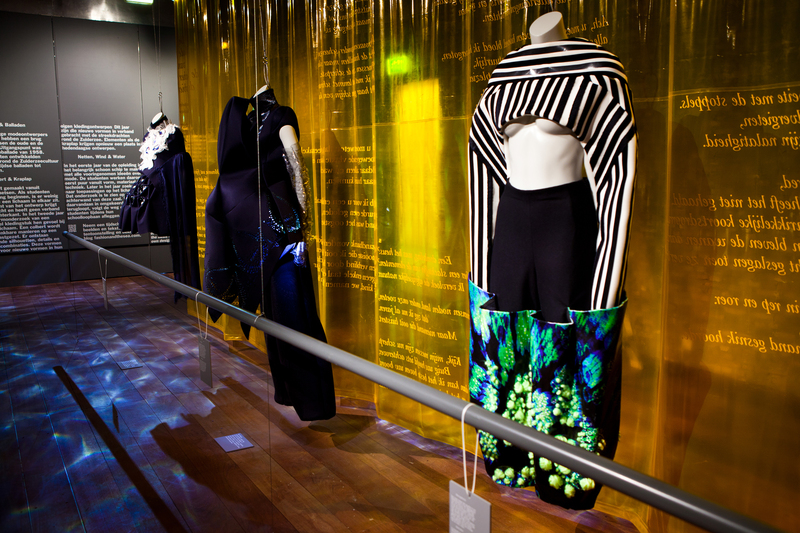 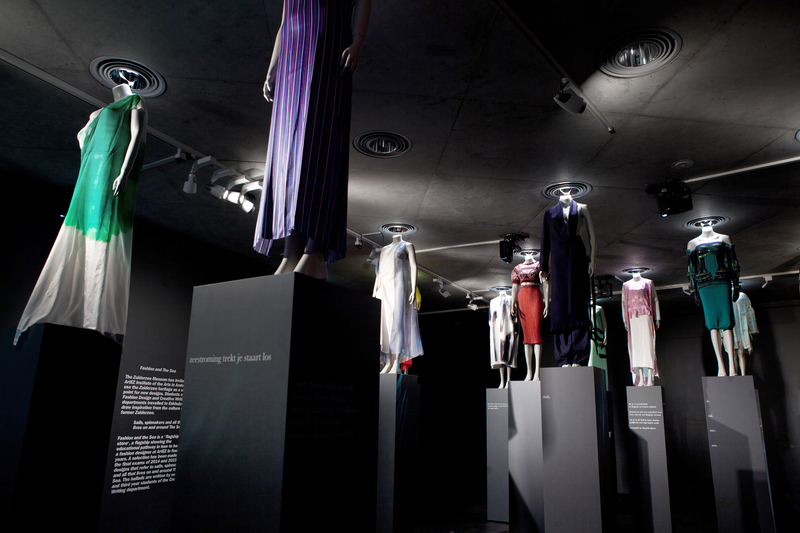 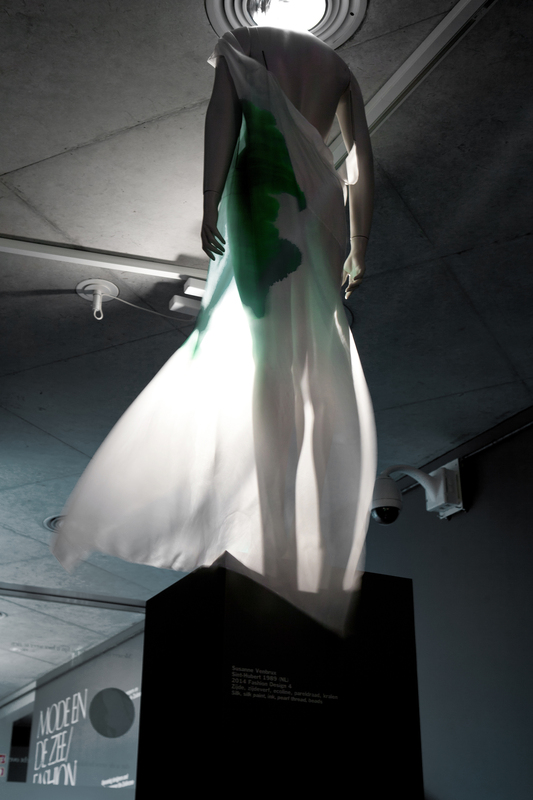 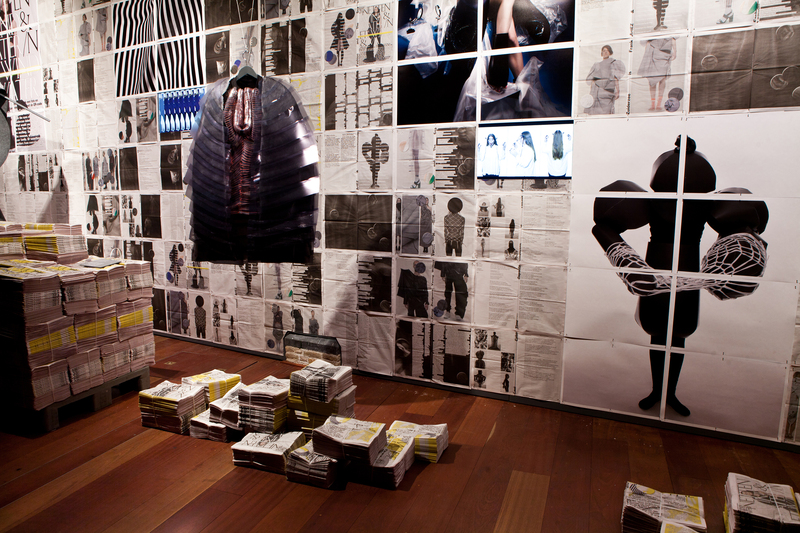 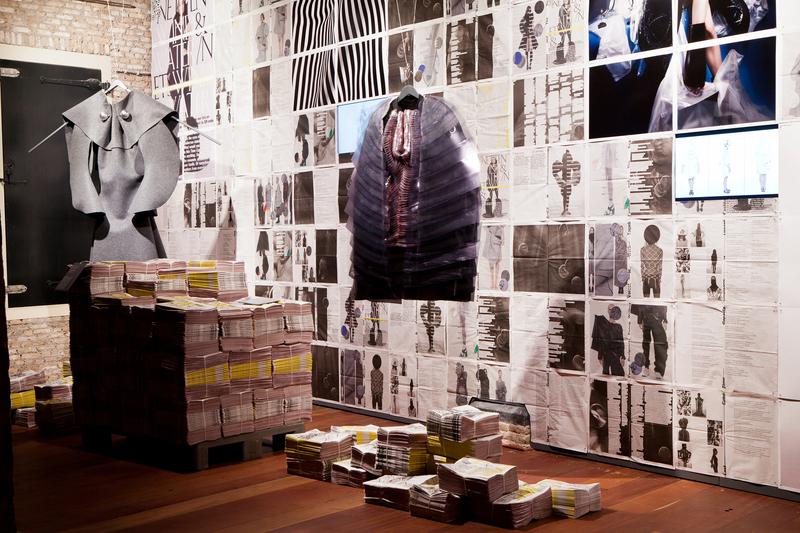 The exhibition Fashion and The Sea took the form of a "flagship store", a flagship showing the educational pathway in how to become a fashion designer at ArtEZ Arnhem in four years. 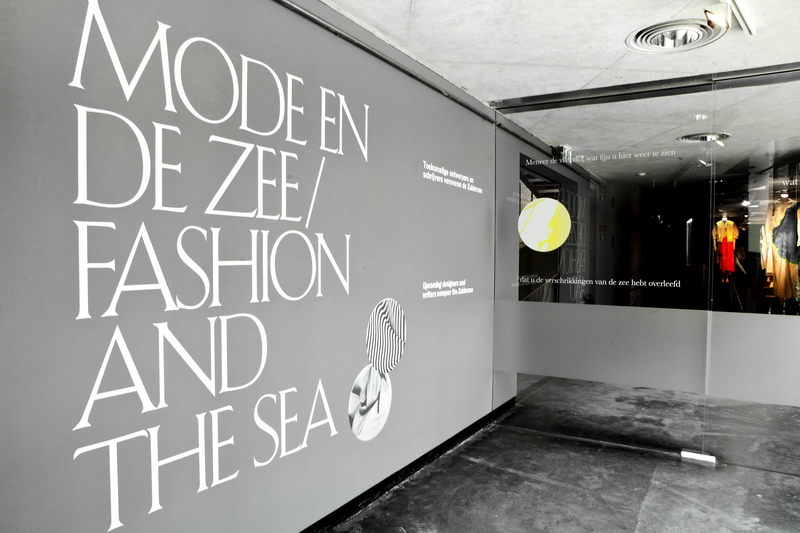 First and second year students Fashion Design designed looks related to the Zuiderzee, and second and third year students Creative Writing wrote contemporary ballads based on the same theme. 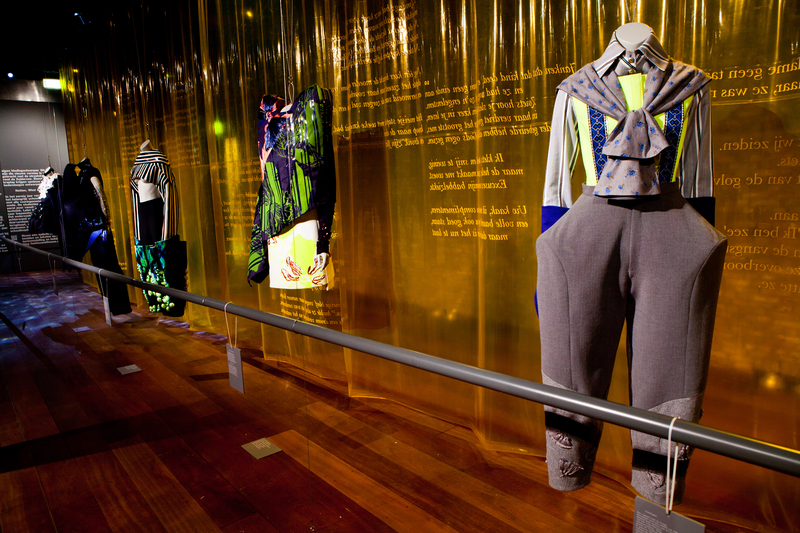 Additionally a selection was added from the graduation collections of 2014 and 2015, of designs that refer to sails, spinnakers and all that lives in, on and around The Sea. 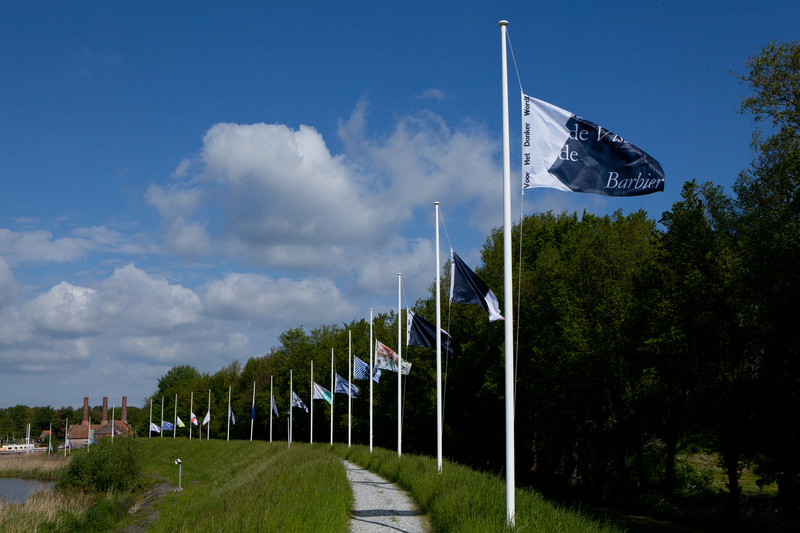 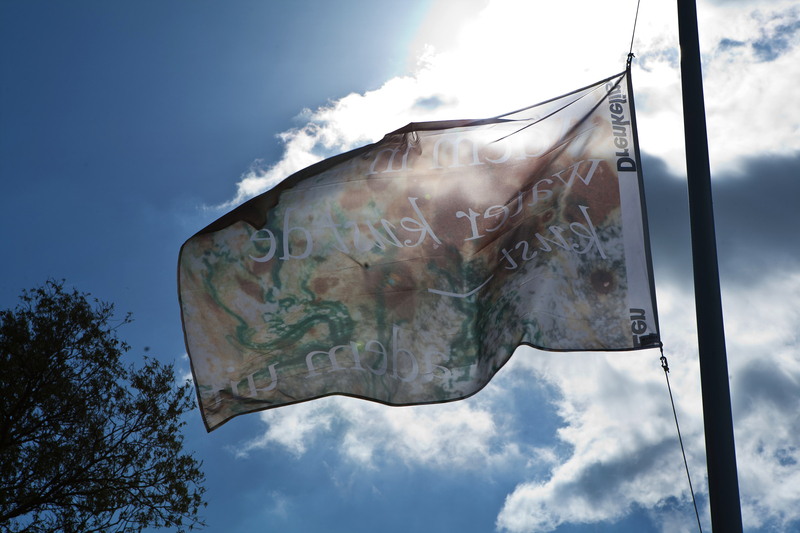 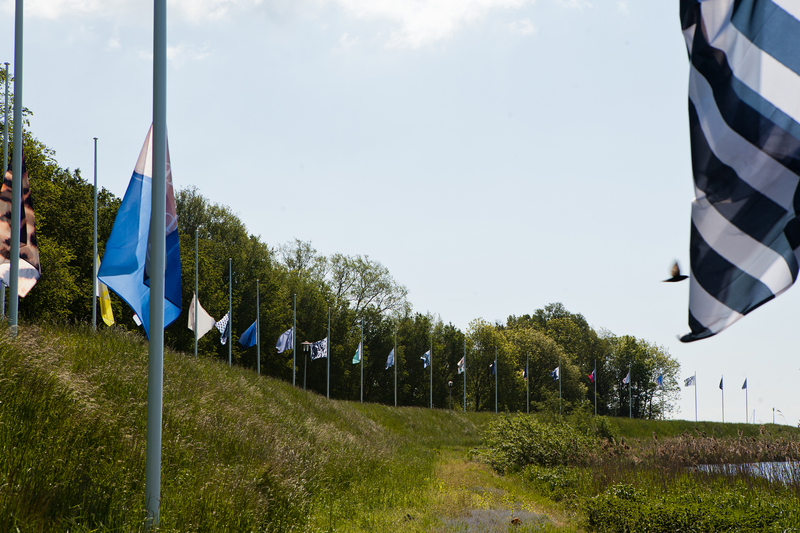 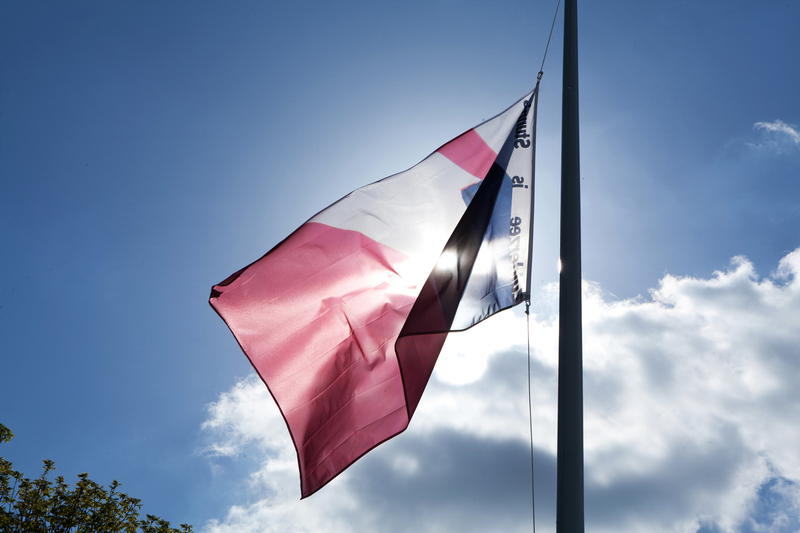 Along the dike of Enkhuizen a row of flagpoles was installed, with flags showing images and ballads from the exhibition, each hoisted on its own height, from the water to high in the air.